Decorating for Fall and Thanksgiving are among favorites it seems. Probably because of the warm colors and cozy atmospheres. 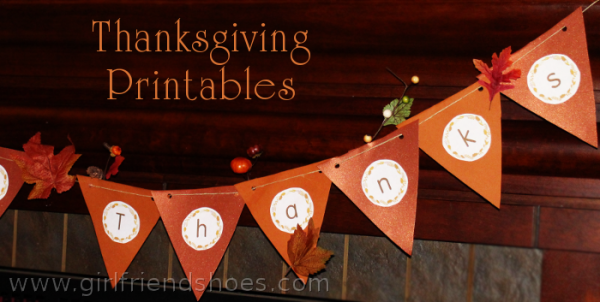 Make your Thanksgiving atmosphere cozy by using free Thanksgiving Printables. I printed out the letters, modge podged them to cut out paper flags, hole punched two holes in each flag and then weaved hemp cord through them to hang. I glued leaves and fall baubles here and there for a decorative effect. 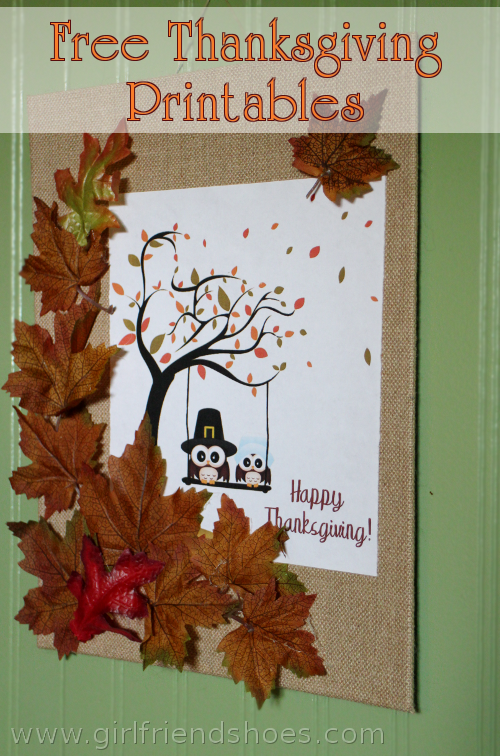 I modge podged the Owl Thanksgiving Printable to a burlap canvas and glued leaves around it. 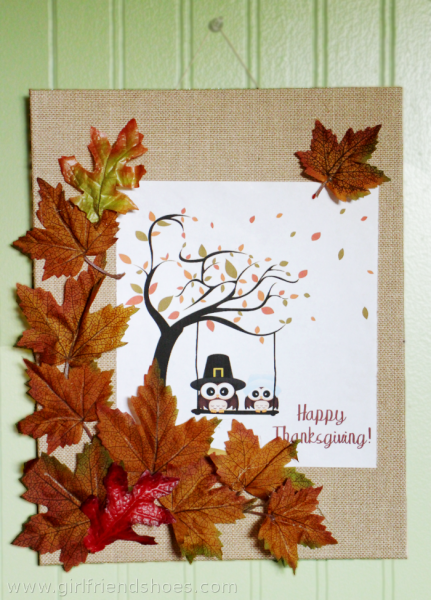 Makes a really cute Thanksgiving decoration! I’ve got a new found love for printables, it’s an easy and inexpensive way to switch up decor �for different occasions and holidays. Share with us how you’ll be using these in your decorations.